Shanlaan Laan Pod Mod 40w From Ave40 - Daily Vaping Deals & The Best Vape Product Reviews at Vaping Cheap! Pod systems have become extremely popular as of late, as they offer simplicity which is great for the beginner and advanced user. Shanlaan has released their newest vape starter kit, the Shanlaan Laan Pod Mod 40w from Ave40. It is available in three different color options which are Black, White and Brown. Click Here to Check out the Shanlaan Laan Mod Pod 40w! As mentioned previously, a lot of vapers tend to favor pod systems, because they’re incredibly easy to use and offer excellent performance. One drawback to some pod systems is that they’re closed, meaning you cannot use your own preferred e-liquid. Thankfully, with the Laan Pod Mod 40w from Shanlaan, you can fill the included tank with your favorite vape juice! It does feature a top filling system, making it quick and easy to fill on the go. It does have a 2ml e-liquid capacity, and it’s estimated that you’ll be able to get between 100 to 150 puffs before needing to refill. Two pods, a USB cable and user manual is included with this vape kit. The major parts of this device is the cap, built-in sub ohm tank, and pod body which is primarily constructed of metal, ensuring excellent durability. Even though it is made of metal, it still features a light weight design, and a poco pin connection. The lightweight design makes it easy to travel with whether in your pocket, purse or book bag. Not to mention, it also features a functional reset mode, just in case you run into any issues. Another great feature to the Shanlaan Laan Pod Mod is the completely button free design, and it also adopts a child lock. The button free design makes it natural and easy to use, especially for the new vaper who is making the switch from smoking. This device does have a built-in 1300 mAh battery, giving you all day battery life and can be charged using its USB port at the bottom. It does have a flip-open USB port, protecting it during daily use. A small light is on the device itself, which will display the battery level when charging. There are two different inhalation modes as well, one suited for the beginner which will provide an analog or cigarette experience with the airflow closed off. The other, for the seasoned vaper, is when the airflow is open, giving you more vapor production and providing a more direct lung style of vaping. This allows the Laan Pod Mod to be incredibly versatile, and fit the vaping style for the vast majority of vapers. This device does feature a top airflow design, ensuring excellent flavor and best of all, no leaking! The pod itself is concealed underneath the mouthpiece. The Laan Pod Mod is also features Bluetooth functionality, and is compatible with both Android and iOS systems. Simply download the Lann App to your phone, and you will be able to monitor and adjust the device’s power output, temperature settings, or even activate the child lock system. By utilizing the App, you can easily fine tune your vape experience to fit your vaping needs! 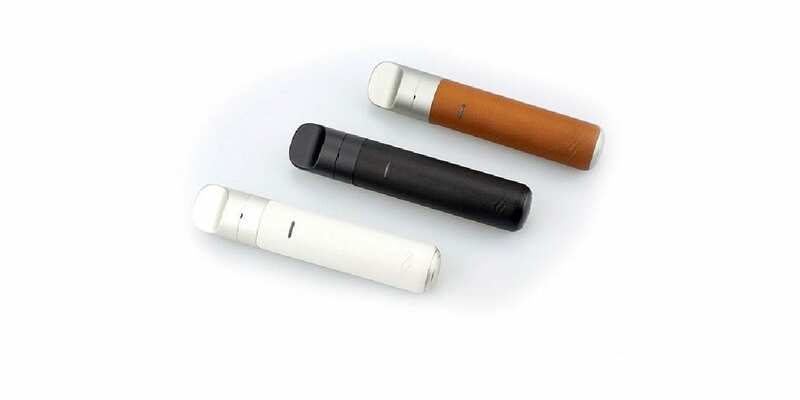 Lastly, the Shanlaan Laan Pod Mod System features a premium leather design, and has a comfortable mouthpiece. All in all, the Shanlaan Laan Pod Mod 40w is a versatile pod system that provides an excellent vape experience with all of its features making it great for both the beginner and advanced user. If that’s something you’re looking for, then this is a device definitely worth checking out!